Youngsters nowadays begin to learn how to drive or ride a bike at either the age of 16 or 17. At that age, I was still cycling around the vicinity of the jungles of Teluk Pulai where I lived. It was after May 13 incident, our family then shifted to the 1st Mile of Jalan Kapar, Klang, that it crossed my mind to take up driving lessons. Being the shy kampung boy that I was, only hardly 21 years of age, learning how to drive became a problem to me. Like other young lads, the wish to drive was there in me. If you have read my earlier article, in which I related the incident whereby I took my father’s 7 ton Bedford lorry for a spin around the village in Lorong Raja Muda, Klang, must surely have been read already by readers by now. Sitting beside me in the above daring episode was my best friend, Chew Kwong Sew. Shy and very much afraid of people was the reason I chose a small, dilapidated driving school office located under a big rain tree, near Jalan Kapar, Klang. When I decided to register myself for driving lessons, one day way back in 1971, I still remember vividly the proprietor of the driving school, which had one table and an assistant whom I later came to know as Mr. Tew Hock Lai. Mr. Tew, I remember was a young man of about 25, with curly hair and large eyes. Mr. Tew was later to become my instructor. Permit me to describe to you the proprietor of this small driving school entity. Incidentally, this driving school had only one small red Mini 850 car. So why did I choose this small unknown driving school concern to be my driving school? Simple actually, because I was shy. I didn’t want people, especially my family to know that I was taking up driving lessons then. Now back to the proprietor himself. He was what people call “yankee” or “Oh Thau” or in Chinese, “Black Yam”. Actually, his real name was Mr. Thia Eng Hock. He was from Raub, Pahang. You can actually read more about the above personality in another article entitled “Can you drive a car using 3rd gear only”, which I write earlier on. In the above interesting story, I jested, if Michael Schumacher and my above friend were to meet in a showdown, I’m rather certain that my friend above would win. That is, if they were to race along the old Karak Highway, which winds like a snake from Kuala Lumpur way back to his hometown of Raub, Pahang. Yankee got his nickname as he was very fond of wearing white shoes, white trousers, long sleeved batik shirt and dark glasses. Standing 6 feet tall and with long hair and with a charming and captivating smile, this friend of mine could easily entice anyone, male or female. Yankee, the driving school proprietor in question had another nickname also. People in the driving school arena call him “S.S.S.”. I am sure readers would like to know what the abbreviation stands for. S.S.S. in fact means “Super, super, sien”. The word sien in the Chinese language of the Hokkien dialect means a swindler or a person who is capable of enticing anyone. In short, a big bluffer, if you like. Yankee’s ability to convince anyone of anything is so well known to people, stretching from Pahang to Selangor. Permit me to relate to you 2 instances of Yankee’s prowess to bluff people. If you, for example are owed a sum of money by him and you happen to meet him, you’d obviously ask him for the refund of the money he owed you, won’t you? Stories have it that upon your request for money owned by him to you and upon your request, Yankee would end up play acting and giving all sorts of heartbreaking tales. And you know what, surprisingly, you will end up lending more money to him instead. The above character has even been said to possess the ability to get a bird which is flying above in the skies by just whistling at it and the bird it is said will eventually settle upon his palm. That’s how powerful his convincing powers are. I’ve read the Undang book and it stated that failure to answer more than 3 questions will result in a resit. However, the speaker emphasized that getting one wrong for the section will be counted as FAIL. So which one is correct? 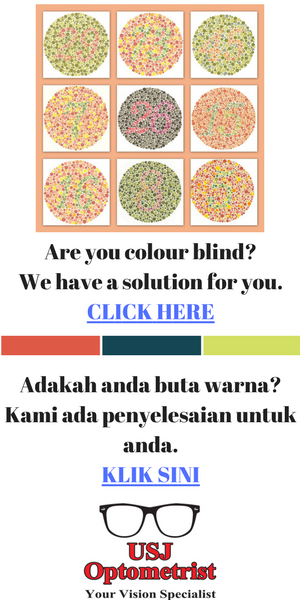 And say, if the person has to visit the eye doctor, will he/ she be exempted from taking the color blind test and continue to answer the other sections? Your lecturers seem to be providing you wrong facts. Passing mark for Highway Code is 42 / 50. Furthermore, a colour blind computer test is compulsory for all candidates. Those failing this test will have to go to the nearest JPJ office for an interview. Thence to be sent to a government clinic for an eye test.